An additional supplement of magnesium towards yellowing leaves? » Chili – Hobbyodling av chilipeppar! ← Naga Viper is a really hot chili. An additional supplement of magnesium towards yellowing leaves? 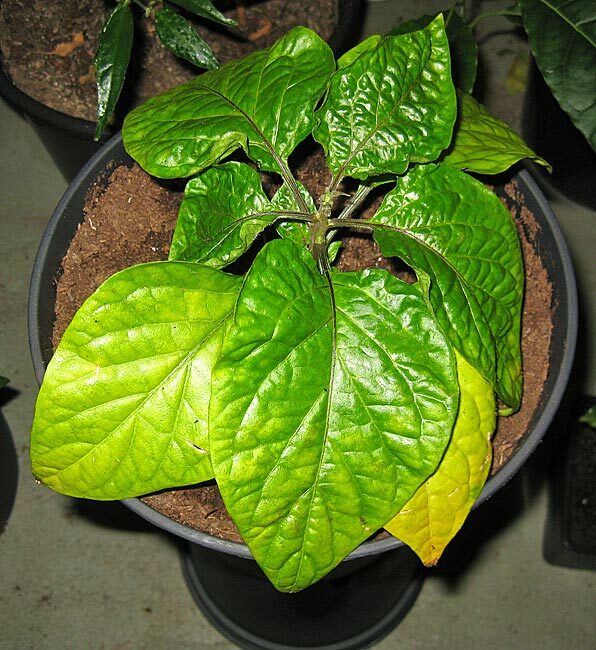 Many times as is yellowing and krullade together leaves the chili a sign of deficiency of magnesium, many soils are poor in magnesium. Magnesium leached from quite for about one överbevattnar. I got a tip of our gardeners to use “Epsom salt/bitter salt” It would improve the plant's uptake of phosphorus and nitrogen, and make sure the plant does not suffer from a lack of magnesium and sulfur. Magnesium and is very important for plant growth. Magnesium helps the plants in preparations to form chlorophyll, contribute to the plants ' ability to absorb nitrogen and phosphorus from the soil, It also strengthens the cell wall of plant. 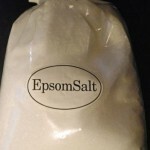 You can mix out Epsom salt (1 MSK. Per liter of water) and then water the plants 1 Once a week with this solution or so pours a heaping tbsp directly on the soil in the pot so it is leached out by watering. This is nothing like I tested but I'll do it in a few plants to see if they react much on this Epsom salt/bitter salt as a nutritional supplement. 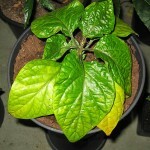 It is alleged that chili plants grow better and get bigger than when the fertilized solely with commercial fertilizer. 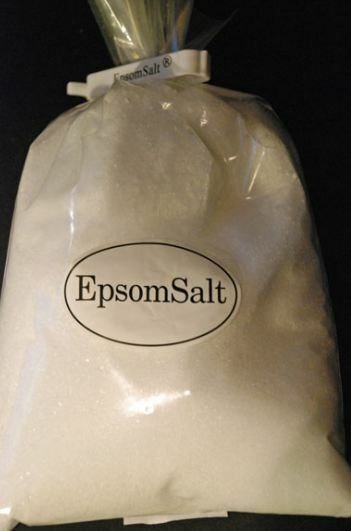 Epsom salt can be purchased at Sneckenströms Eco trading, Click here. Do you have any experience with Epsom salt/bitter salt as a nutritional supplement? 6 Responses to An additional supplement of magnesium towards yellowing leaves? Hey Stig, where is it found in this Epsom salts? Want to try! Now this look and googlas of epsom salt, sounds interesting! Magnesium associated with Potassium ((K):et in “NPK”). If you have a lot of Potassium in their nutrition, which is good for the growth of flowers/fruits, so we need more magnesium. The symptoms of “too much potassium” is almost exactly the same as at “too little magnesium”, that is, it can be seen as two sides of the same coin. …but because the plants like Potassium, it is better to think of it as “too little magnesium” than “too much potassium”, and add some Epsom salts instead of reducing Kaliumet. If I now not taken completely the wrong. Take what I write with a grain (Epsom)Salt. How has it gone now ? It got good result? I have bought home a little Epsom salt now. Is it possible to irrigate their chili with this, even if we don't see any sign that the plant feels bad. As a little extra boost to growth ? And so I wonder if it's a good idea to mix the salt out with tex nettle water or plant food you buy in the store and irrigate with it once a week? Well I think that plants grow better and look even healthier. I give them was just the 14 day and not much but just 1 teaspoon to 1 tablespoon depending on the pot size. I sprinkle it on the Earth and watering down, then you have better control on how much each plant gets but it is possible to mix in water. I give them even Epsom salt (magnesium) as a preventive measure to avoid problems due to shortages and to facilitate to take up nitrogen. Common symptoms of deficiency. The tissue around the blade's veins fade and yellowing. The leaves can be yellow or white with a network of green veins, the leaves tops squirms and dies.